Here at WeekendNotes, we are asking the tough questions - and in particular, we are asking where do you find London's very best pizza? To help us answer this very important question, we are asking you, our loyal readers, to offer your recommendations. We would like you, to tell us, your favourite pizzerias and just why they are better than the rest. -Franco Manca, which Time Out London referred to as "[an] undeniably a terrific venture." 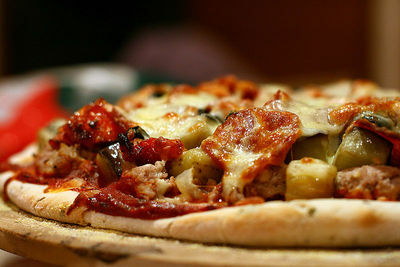 Pizzeria Oregano, an establishment which is highly rated by London Eating, Hardens and the London Evening Standard. -The Oak London, which No Red Meat declared as "... [serving] the greatest pizza in London." So, now it is over to you; let us know what your favourite pizzerias in London are. The best Pizza can be bought at "The Iceland" store in London, then it can be baked at home and I am sure that it is the best pizza and everyone will like it. Casa Carlo, Eel Brook Common, new kings road (opposite junction of wands worth bridge road). Fireazza in South west london, they sell metres for a metre long and are just delicious! Some very tasty suggestions here. Thank you. I will definitely be trying some of these next time I'm in London.